Acura RDX's True Touchpad one-to-one interface works great and serves as key design element of interior. The RDX benefits from Honda’s excellent driver-assistance systems and headliner-mounted speakers, and the True Touchpad one-to-one central controller is so logical and intuitive it earns extra points from our judges. Technology is applied with an artist’s touch in the ’19 Acura RDX, a pleasing blend that lands the CUV a position on this year’s Wards 10 Best User Experiences list. Start with the innovative True Touchpad one-to-one interface that’s a centerpiece on the all-new model. The design is a risk for Acura, but one we think worth taking. While a controller alone doesn’t win a vehicle a 10 Best UX trophy, the new device is so logical and intuitive it earns extra points from our judges. It’s designed for comfortable operation, with a wrist pad for support. It not only works well, it is a key design element, positioned as part of a uniquely styled center stack that creates a signature look for the new RDX that is unlike anything in its competitive set. The True Touchpad also is functional. That’s a key UX measure – consistency that makes a system so dependable a driver’s focus rarely needs to divert from the road ahead. When one does need to look away from the bright, clear HUD and instrument cluster, the perfectly placed, eye-level center screen offers clear, crisp displays that are easy to read at a glance. 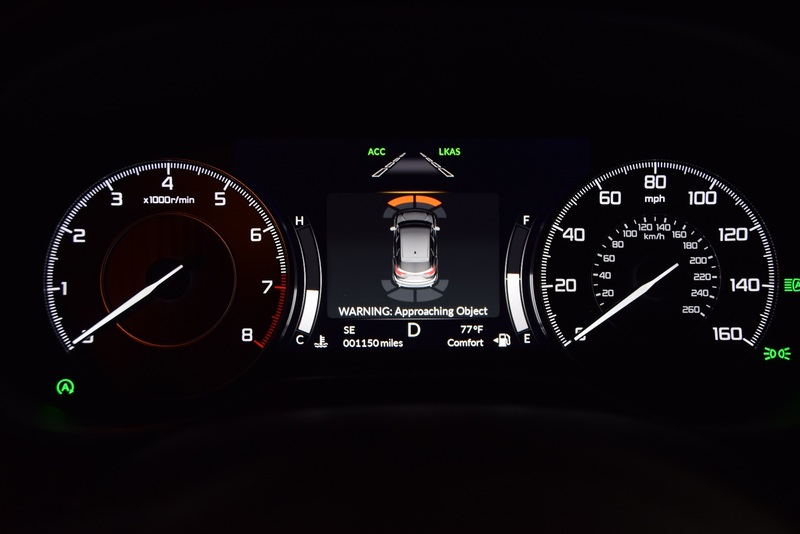 Gauges are sporty and cleanly styled, and the center TFT screen is packed with operational details, including how the car’s all-wheel-drive system is performing. The RDX benefits from Honda’s excellent driver-assistance systems, many of which were introduced on the ’18 Odyssey minivan and now are part of the RDX arsenal. Judges praise the reliable full-range adaptive cruise control as well as a lane-keeping system that endeavors to guide the RDX in the center of the lane. Finally, we applaud the sound engineers who added headliner-mounted speakers, bringing a new dimension to the RDX’s premium ELS Studio 3D audio system. “This audio stands out,” writes one judge. At $48,395 as tested, the RDX offers a solid array of standard equipment, including full leather, Apple CarPlay, navigation, blindspot and rear-traffic monitoring and surround-view camera. The new RDX sets a high bar in the competitive premium midsize CUV segment with a formula that would make Da Vinci proud.